The 40's, 50's and 60's were a magical time in America for ballrooms. They appeared all over the country but no place were they more plentiful than in the Midwest. Tom Archer built his first ballroom in the 1930's and became the king of ballroom operators in the USA. The Val Air in Des Moines, Iowa may have been his first and most recognizable but he also built many in Nebraska, South Dakota and Missouri. The Arkota in Sioux Falls was certainly the "jewel" of South Dakota ballrooms. It hosted orchestras, big bands and finally rock and roll. Some of the biggest names in the business played at the Arkota, with crowds sometimes exceeding one thousand patrons. It's where Myron Floren was introduced to Lawrence Welk. 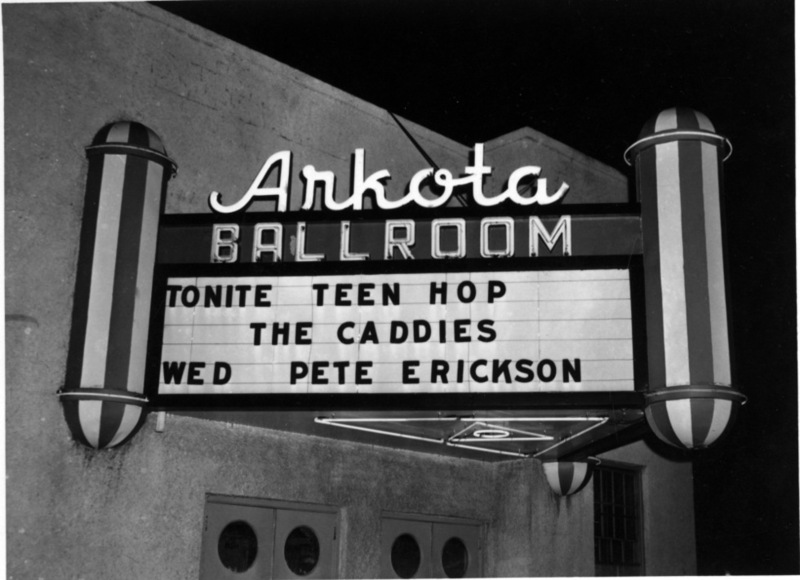 In the 50's, the Arkota featured "teen hops" on Thursday nights with big bands performing on the weekends. South Dakota legend, Myron Lee has many fond memories from the Arkota. He claims his career really took off after he started playing the teen hops there in 1957 and was a regular performer for years to come. Some of the top acts Myron recalls seeing include Gene Vincent, Sonny James, Marty Robbins and Joe Dee. He also remembers how particular manager Mag Hansen was of the dance floor. When bands set up they had to walk around the shiny wooden floor so they wouldn't leave a mark. Eventually this beautiful ballroom was acquired by the El Riad Shrine of Sioux Falls and has been refurbished to its former glory with the original wood floor still intact. Although it is no longer on the weekly circuit for bands, it is busy hosting receptions, parties and many special events. It is quite fitting the South Dakota Rock and Roll Music Association, in its first historical induction, is inducting the Arkota - a place where it al started.